Canada’s largest city is the country’s finan­cial and busi­ness heart, its most mul­ti­cul­tural metrop­o­lis, and a vibrant artis­tic cen­ter. Many Toronto res­i­dents con­sider their city the hub of the uni­verse – or at least the uni­verse north of the 49th par­al­lel. If you’d feel at home in Chicago or per­haps Manhattan, you might con­sider liv­ing in Toronto. Toronto’s Bay Street is Canada’s Wall Street, head­quar­ters for scores of banks and finan­cial ser­vices com­pa­nies. Whether you work in high-​​tech or high finance, in sci­ence or health care, real estate, edu­ca­tion, tourism, or the arts, Toronto has plenty of opportunities. 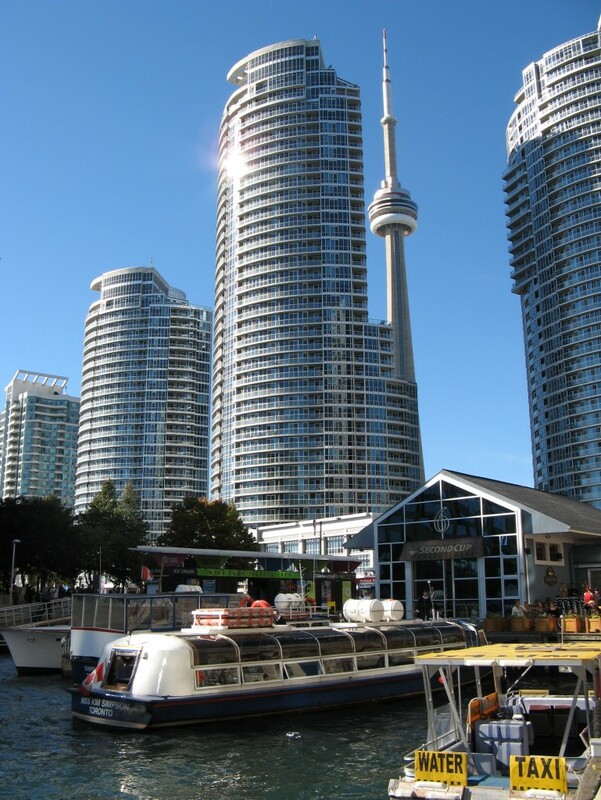 With a pop­u­la­tion of 2.5 mil­lion in the city proper, and roughly five mil­lion in the met­ro­pol­i­tan area, Greater Toronto may not be huge by world stan­dards, but it still ranks among the largest cities in the U.S. and Canada. It’s also one of the most eth­ni­cally diverse cities in the world. Nearly 50 per­cent of Toronto area res­i­dents were born out­side of Canada, and thou­sands of new immi­grants arrive every year. This diver­sity has made Toronto a great din­ing city. You can have Indian food today, Italian tomor­row, Greek the next, Caribbean cui­sine another day, and dishes from many regions of China for days after that. Cultural fes­ti­vals go on nearly all the time. Toronto may not have an ocean­front, but it is right on Lake Ontario. When the weather’s fine, res­i­dents make the most of their lake­side loca­tion, walk­ing or bik­ing along the shore or fer­ry­ing across to one of Toronto’s nearby islands. Of course, cli­mate may not be Toronto’s main sell­ing point, since win­ters are long, and sum­mers are hot and humid. Toronto’s ever-​​increasing traf­fic, too, gets low marks from locals. Still, if liv­ing in a major inter­na­tional city with a wealth of cul­tural and recre­ational oppor­tu­ni­ties appeals to you, Toronto may lure you here. Working in Toronto: Overview of the job search process and links to Toronto job-​​hunting resources. For more job search resources, see Finding a Job.